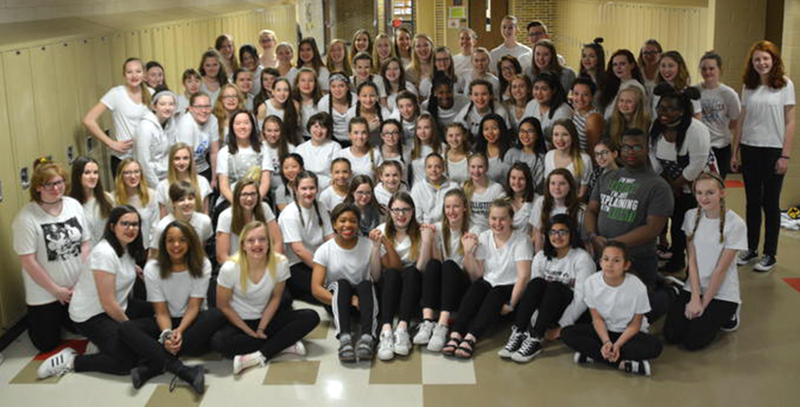 Over 100 Peet students wore white T-shirts, black pants and, in some cases, red lipstick, in a show of support for women’s empowerment on Thursday, March 23. Over 100 students at Peet Junior High participated in a women’s rights movement event on Thursday, March 23. It had all started in response to a series of negative comments on social media by a male student at Peet. “We really saw that there was especially one student, but in general a lot of sexist comments being made not just to the ninth graders, but to everyone in general, and we just wanted to bring awareness to it,” freshman organizer Ashlyn Metcalf said. The plans for the event were posted everywhere and spread like wildfire on social media. “I put it on my Snapchat, and people would screenshot it and put it on their story, so it just spread fast,” Metcalf said. Students participated in this day-long movement event by wearing a white shirt, black pants and optional red lipstick. The clothing choices had a deeper meaning, and each signified something. “The white shirt represented angels because in the suffragette movement that is what women wore, and recently some women in Congress wore white to support this, and the red lipstick represented the color for national women’s day,” Ogbondah said. Because participating in the movement was open to every student, some male students participated. 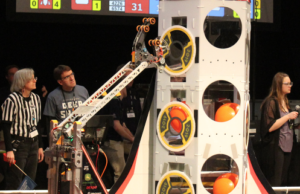 “I was a little surprised that some boys participated, but for the boys who participated, it didn’t surprise me that it was them, and I am overjoyed that they did,” Metcalf said. “I just want to participate because I thought it was important to be a part of a movement that can do some good. I feel like it helped bring people together, and it was also really cool that teachers got involved. It is nice to have a good community here at Peet,” freshman Hunter Peterson said. At the end of the school day, many women left Peet feeling validated. “I feel empowered. It showed that a lot of people in Peet care about the same type of thing that I care about too,” Metcalf said. “I think it more just brought awareness that sexism is still a problem and that it is not a thing in the past. 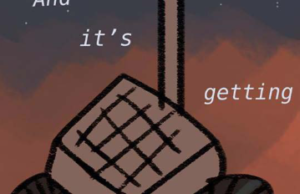 It’s still going on,” she said.